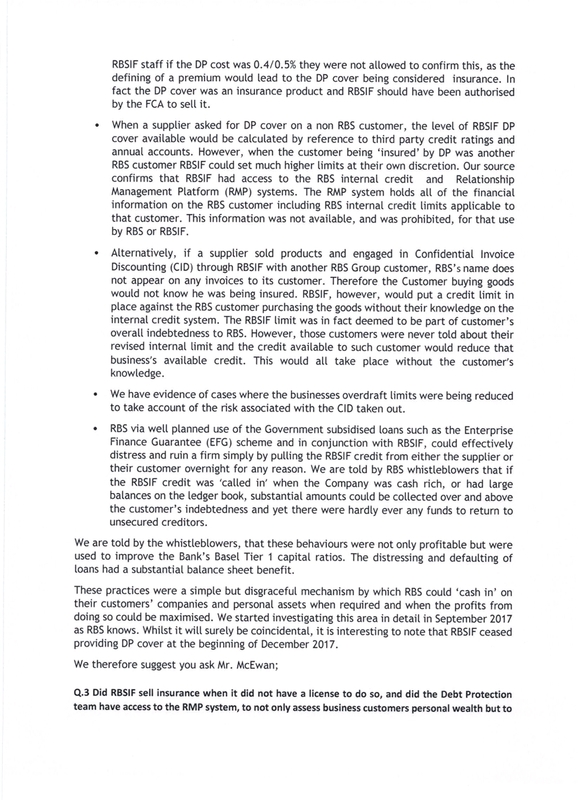 An open letter to the Treasury Select Committee from a new whistleblowing agency lists a series of practices at Royal Bank of Scotland (RBS), which the agency says have been confirmed to them by whistleblowers. 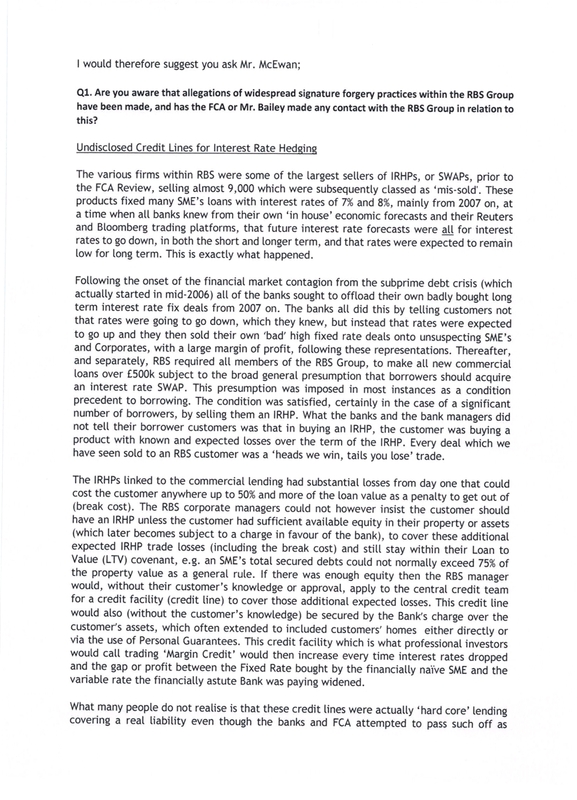 Allegations made in the document by Bank Confidential, include forging signatures, and the creation of background credit lines and accounts without customer knowledge. 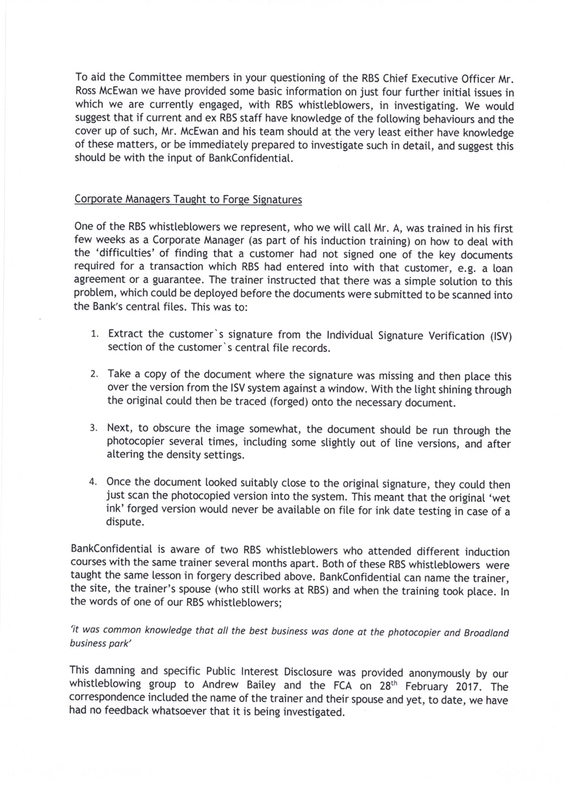 Today the Scottish Mail on Sunday published the signature forgery allegations told to them by whistleblowers, with supporting accounts. 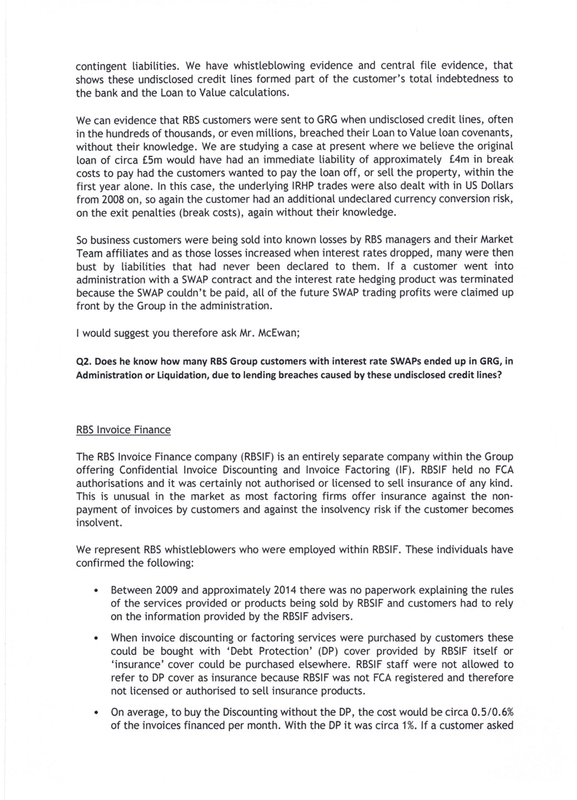 Chief adviser Steve Middleton says the agency have asked the bank and City regulator, the Financial Conduct Authority, to meet and discuss how to positively deal with these allegations. 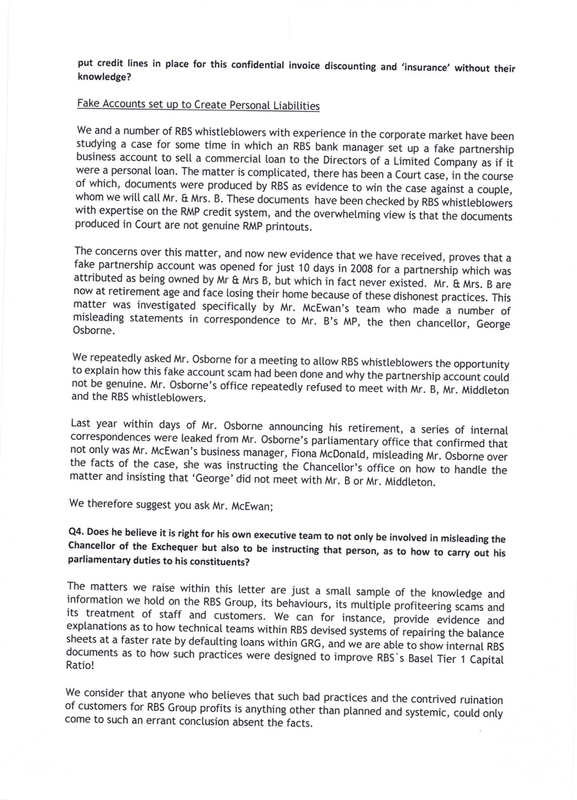 The letter was sent ahead of a grilling by the TSC of RBS CEOs Howard Davies and Ross McEwan on Tuesday 30th January. 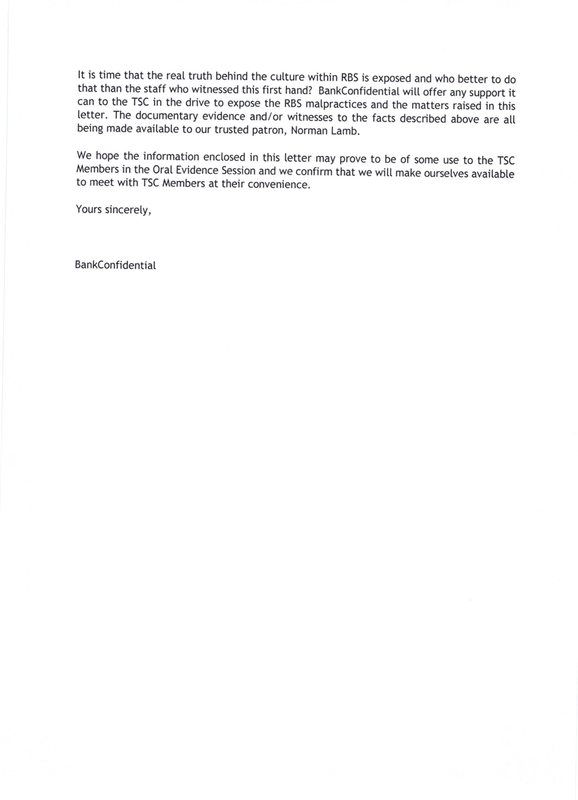 Below is the letter in full. 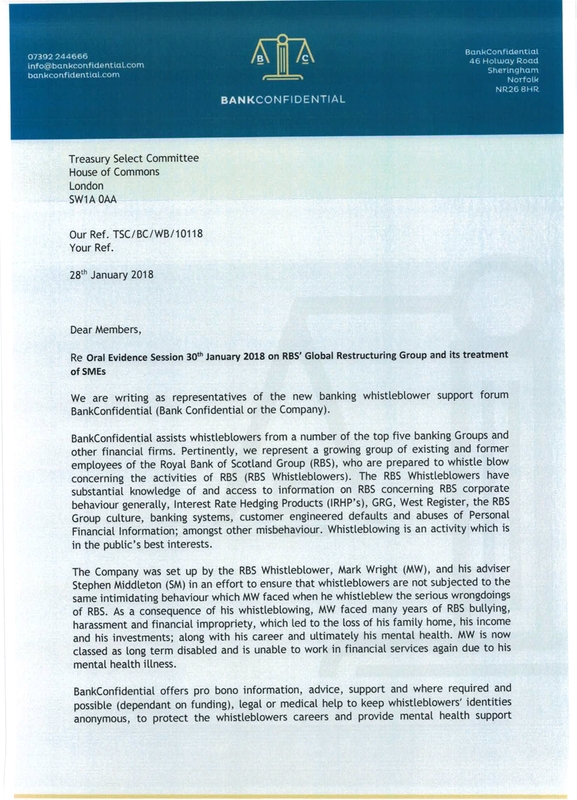 Disclosure: Real Media covered the story of whistleblower Mark Wright in Feb 2017. He is now a Director of Bank Confidential. We’ve also covered stories concerning signatures. Real Media has worked supportively with the agency since and during its launch recently. 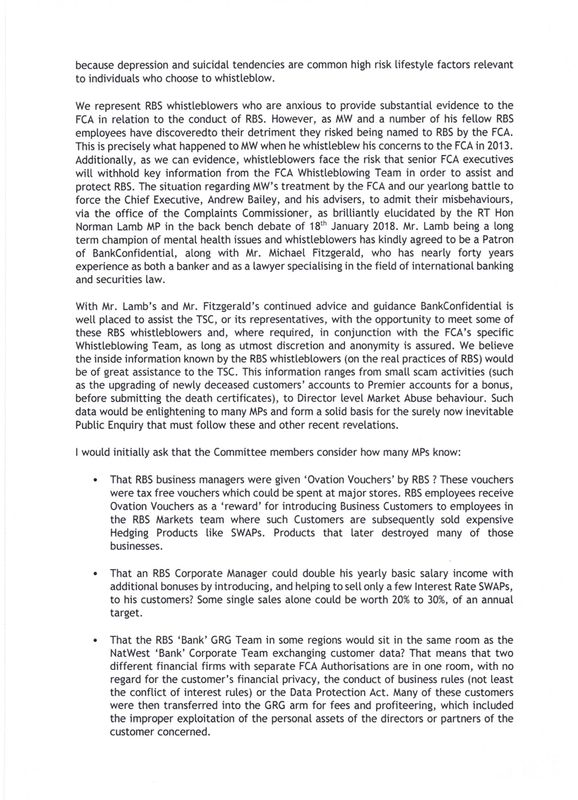 We support whistleblowers and the principles of Bank Confidential.